"Be the Joy You Seek"
The following are ‘terms and conditions’ which shall govern service(s) sessions provided through our website(s). This document does not affect consumer statutory rights, such as rights under the Consumer Contracts: Information, Cancellation and Additional Charges, ‘Regulations 2013’ or the ‘Consumer Rights Act 2015’. 'YOU' means you the customer(s) and or prospective customer(s) and client(s) who pay for a service(s) with Tantric Valentina. 'US', 'OUR' and 'YOUR' should be construed accordingly and relate to service(s) and product(s) sold and or purchased. No written, verbal or otherwise request is agreed, or will come into force between you and us, Tantric Valentina, unless and until we accept your request in accordance with the procedure(s) and or service(s) set out in these ‘terms and conditions’. (a) You must add the product(s) and or service(s) you request to our website shopping cart; and or pay in 'cash' in person. Where you proceed to use our website payments system(s) you will be transferred to our payment service provider's who will handle payment. We will send you, upon request, an order confirmation via email to notify you of your booking acceptance. Our prices and session fees are shown clearly within our website(s) and are communicated also via email, text, social media and verbally, prices can vary according to client request and promotions. We reserve the right to change prices within our website(s), through social media, text and verbally, however, this will not affect contracts, verbal or otherwise, that have previously, by prior agreement, come into force. All prices stated, verbally or otherwise, in these 'terms and conditions' and on our website(s) are for service(s) and product(s) inclusive and some exclusive of VAT, of which shall be ‘zero’ rated. Such is applicable according to VAT regulations. It is possible that prices and fees on our website(s) may be incorrectly quoted; accordingly, we will verify prices as part of our sale procedure(s) so that the correct price will be notified and amended to you before the contracted transaction is electronically made, or paid in cash, which ever comes into force. In addition to the price(s) of the product(s) and or service(s), you will have to pay, if required and or agree, verbally or otherwise, a delivery charge and or travel expenses incurred by prior agreement. These vary depending on customer request, which will be notified to you before the contract of sale, verbal or otherwise, comes into force. You must, during the purchase and or checkout process, pay the prices of the products and or service you requested and or ordered. Payments may be made by cash, credit and or debit cards including Visa and or MasterCard. If you fail to pay any amount due under these 'terms and conditions' in accordance with the provisions of these 'terms and conditions', then we may withhold product(s) and or service(s) ordered, requested, verbally or otherwise; and or by written notice; and at any time cancel the contract of sale for the product(s) and or service(s). (d) and for the avoidance of doubt, if you fail to recognise or fail to remember the source of payment or an entry on your card statement or other financial statement, and make a charge-back as a result, this will constitute an unjustified charge-back for the purposes of these 'terms and conditions' which includes this section 5. Our policies and procedures relating to the delivery of service(s) and or product(s) are set out in our delivery policy, either verbally or in writing. This Section (7) applies if and only if you offer to contract with us, verbally or otherwise, as a consumer(s), client(s) and or customer(s) - that is, as an individual acting wholly or mainly outside your trade, lifestyle, business, craft or profession. You may withdraw from an agreement with us, verbally or otherwise without giving any reason for your withdrawal or cancellation at any time upon the submission of your offer and or intention. No refund is given for a service(s) which has already been booked and a deposit is paid; and or where a service has proceeded either in full or in part. And where an expense is required, thereafter, such as a travel expense, this shall be met in full by yourself, the client(s), customer(s) and or consumer(s). You must comply with your obligations referred to in these 'terms and conditions' and highlighted in this Section (7) without undue delay or otherwise agreed, on or after the day on which you inform us of your decision to cancel the contract and or verbal agreement. You must pay the direct cost of our service(s) which you cancel. You warrant and represent to us that you are legally capable of entering into a verbal or otherwise agreement; that you have full authority, power and capacity to agree to these terms and conditions; all the information that is provided to you; that you provide to us in connection with your order (for a product(s) or service(s) is true, accurate, complete and not misleading; and that you will be able to take delivery of the product(s); and or receive a service(s) in accordance with, these, our 'terms and conditions' and our delivery policy. We warrant to you that we have the right to sell product(s) and service(s) that you buy. The product(s) and service(s) we sell and provide to you are sold free from any charge or encumbrance, except as specified in these 'terms and conditions'. You shall enjoy, unless otherwise agreed, quiet possession of product(s) and service(s) you buy, except as and where specified in these 'terms and conditions'. The product(s) and service(s) you buy will correspond to our description published on our website, or verbally agree and the product(s) and service(s) you buy will be of agreed satisfactory quality. All of our warranties and representations relating to the supply of product(s) and service(s) are set out in these 'terms and conditions'. To the maximum extent permitted by applicable law and all other warranties and representations are expressly excluded. (d) or exclude any liabilities that may not be excluded under applicable law, and, if you are the consumer(s), client(s) and or customer(s), your statutory rights will not be excluded or limited by these terms and conditions, except to the extent permitted by law. We will not be liable to you in respect of any losses, theft or injury arising; before, during or after, out of any event or events beyond our reasonable control. You accept that we have an interest in limiting the personal liability of our officers and employees and, having regard to that interest, you acknowledge that we are a limited liability entity; you agree that you will not bring any claim personally against our officers or employees in respect of any losses you suffer in connection with the website(s) or these 'terms and conditions'. This will not, of course, limit or exclude the liability of the limited liability entity itself for the acts and omissions of our officers and employees. We may cancel a verbal or otherwise agreement, under these terms and conditions immediately, by giving you either a written notice in text, email or verbal notice of termination, if: you fail to pay, on time and in full, any amount due to us under that contract, verbal or otherwise; or you commit any material breach of an agreement, verbal or otherwise. We may cancel an agreement, verbal or otherwise; a contract under these terms and conditions by written notice to you if we are prevented from fulfilling that contract by any event beyond our reasonable control, including without limitation any unavailability of raw materials, components or products, or any power failure, industrial dispute affecting any third party, governmental regulations, fire, flood, disaster, riot, terrorist attack or war. 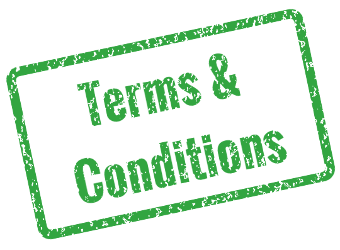 If an agreement, verbal or otherwise, under these 'terms and conditions' is cancelled in accordance with this agreement we will cease to have any obligation to deliver product(s) or service(s) which are undelivered or service(s) prepared at the date of cancellation. You will continue to have an obligation where applicable to pay for product(s) or service(s) as agreed, verbally or otherwise by you, which have been delivered or prepared at the date and time of cancellation, without prejudice to any right we may have to recover the product(s) and or service(s). We may revise these 'terms and conditions' by publishing a revision on our website(s). No breach of any provision of an agreement, verbal or otherwise, under these 'terms and conditions' will be waived except with the express written consent of the party not in breach. No waiver of any breach of any provision of an agreement, verbal or otherwise, under these 'terms and conditions' shall be construed as a further or continuing waiver of any breach of that provision or any other provision of that contract. If a provision of these 'terms and conditions' is determined by any court or other competent authority to be unlawful and or unenforceable, the other provisions will continue in effect. If any unlawful and or unenforceable provision of these 'terms and conditions' would be lawful or enforceable if part of it were deleted, that part will be deemed to be deleted, and the rest of the provision will continue in effect. These 'terms and conditions' shall be governed by and construed in accordance with English law. Any disputes relating to these 'terms and conditions' shall be subject to the exclusive jurisdiction of the courts of England.